Typhoid fever and paratyphoid fever are serious illnesses caused by Salmonella bacteria. It may be Salmonella typhi or Salmonella paratyphi. Typhoid fever is rare in the United States. It occurs most often in developing countries where sanitation is poor. Typhoid fever can be fatal, especially when not treated. 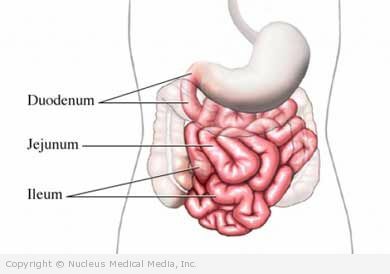 Once bacteria enter the body, they infect the intestine. Bacteria can be carried through the bloodstream to other organs. The doctor will ask about your symptoms and medical history. A physical exam will be done. Typhoid fever is usually diagnosed with a blood culture. Typhoid fever is treated with antibiotics. Typhoid fever is very contagious until treated. In a small number of cases, people may become typhoid carriers even after the illness has subsided. People who are chronic carriers can shed contagious Salmonella bacteria in their stool or urine. This condition can be treated with antibiotics or, in unusual cases, surgery. Vaccine — A typhoid vaccine is recommended if you are planning to visit a country where typhoid fever is prevalent. However, the vaccine is not always effective and careful food monitoring is just as important. Visit the Centers for Disease Control and Prevention (CDC) website to find out if you should be vaccinated before traveling: http://wwwnc.cdc.gov/travel/destinations/list.htm. Drink only bottled water or water that has been boiled for at least one minute. This includes ice. Eat foods while they are still hot, and ensure that they are thoroughly cooked. Avoid any raw fruits and vegetables that cannot be peeled.